Kari and Jess, the Farm's Directors, too their job share to a whole new level by swopping their wellies for sequins, competing in Bristol Come Dancing! They undertook 6 weeks of intensive dance training before opening the dance floor as the first contestants at the Pennywell Project on the 23rd March. Between them, they raised more than £1,350 (including Gift Aid) for two amazing Bristol Charities, Aid Box Community and TEMWA. TEMWA: We work to bring about sustainable community development in remote, rural areas of northern Malawi – one of the poorest countries in the world. We train villagers to grow a variety of vegetables and fruit to improve their nutritional intake; plant trees to combat the devastating effects of deforestation and climate change; run HIV testing clinics and work to combat the associated stigma; and fund students through their secondary school education. Aid Box Community (ABC) is a Bristol-based humanitarian organisation set up by group of ordinary people in response to the continuing refugee crisis. We provide Bristol's asylum seekers & refugees with a safe haven to relax and socialise as well as access our 'Free Shop' where they can choose from a huge variety of high quality donated clothes, shoes, household items, furniture and other essentials, that will help them live more comfortably as they settle in Bristol. Buy your Veg Plug Plants here! 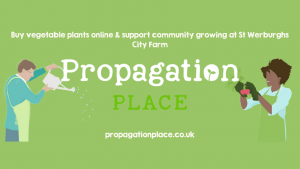 Our Propagation Place project betweeen the City Farm and Ashley Vale Allotments is back! Buy your vegetable plug plants from us, to be delivered to your door at the right time for planting out. Check out our new Propagation Place website where you can place an order today. Then relax knowing your Veg Patch will get off to a flying start this Spring. St Werburghs City Farm is a small charity. We welcome 60,000 visitors each year, and provide a number of vital community services for over 3,500 people facing disadvantage of all ages and backgrounds. One of our aims is to better connect people with the story of their food, from farm gate to plate. We also support disadvantaged members of our community to learn, grow and thrive, whether it be providing placements for adults with learning disabilities to gain skills in organic gardening, helping a young person at risk of exclusion finish their education or supporting disadvantaged adults to gain in skills and confidence. 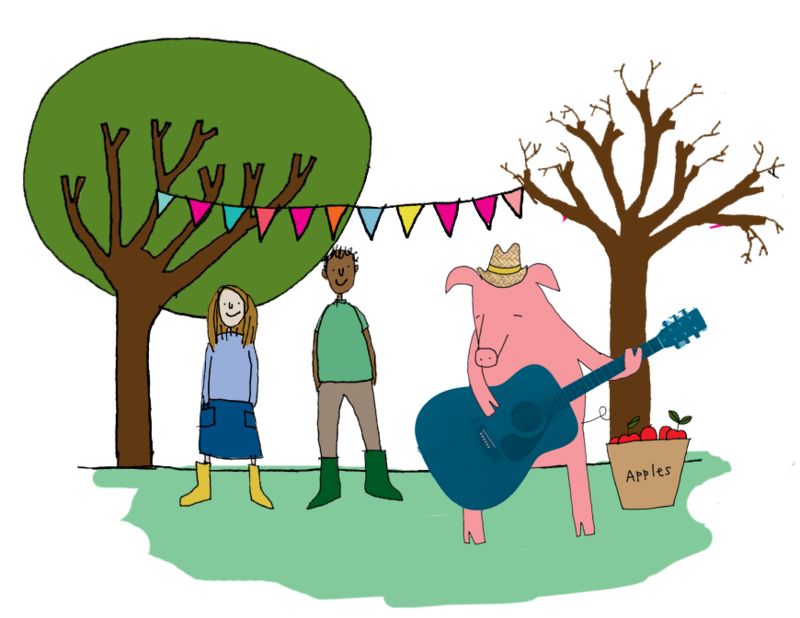 Come and see what we're up to - meet the animals, or stroll through the community gardens. Treat yourself to refreshments from the award winning farm cafe overlooking our adventure playground. Get a £1 bag of feed from a member of staff to hand feed the animals, or follow our new green energy discovery trail around the Farm. It's free to visit the City Farm, but as a charity, we need to raise more than £300,000 every year to deliver our projects and feed our animals. So please consider putting a few coins in our donation bin when you visit, or make a donation right now online. Thank you.